PHP has been around from 1995. Since its advent, it has slowly and steadily grown into the major open source web-development language that is out there. But, the language has received mixed reviews over the years, and has had many overhauls. The new PHP is a more mature language with community standards, a growing afinity for interoperable components, and a passionate movement to improve performance. Whether you have bypassed PHP for alternative languages, or if you are a PHP veteran unaware of recent changes, we present all the reasons to give PHP a second look. Having said that, there is NO one glove that fits all hands. There are some things that PHP does better than other languages, and vice-versa. 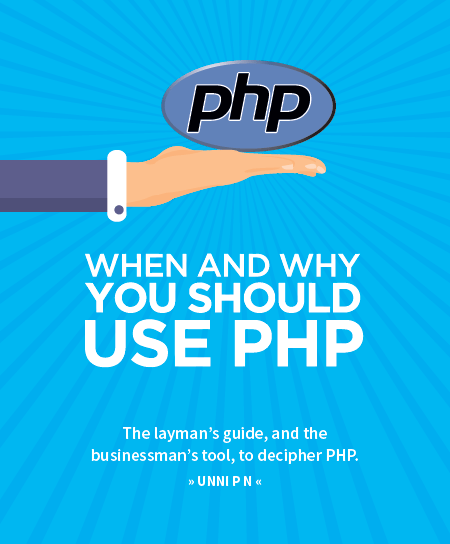 What needs to be figured out is whether PHP can solve your problem. Read the whitepaper to figure it out!